scroll:bit is a little display with a lot of pixels! 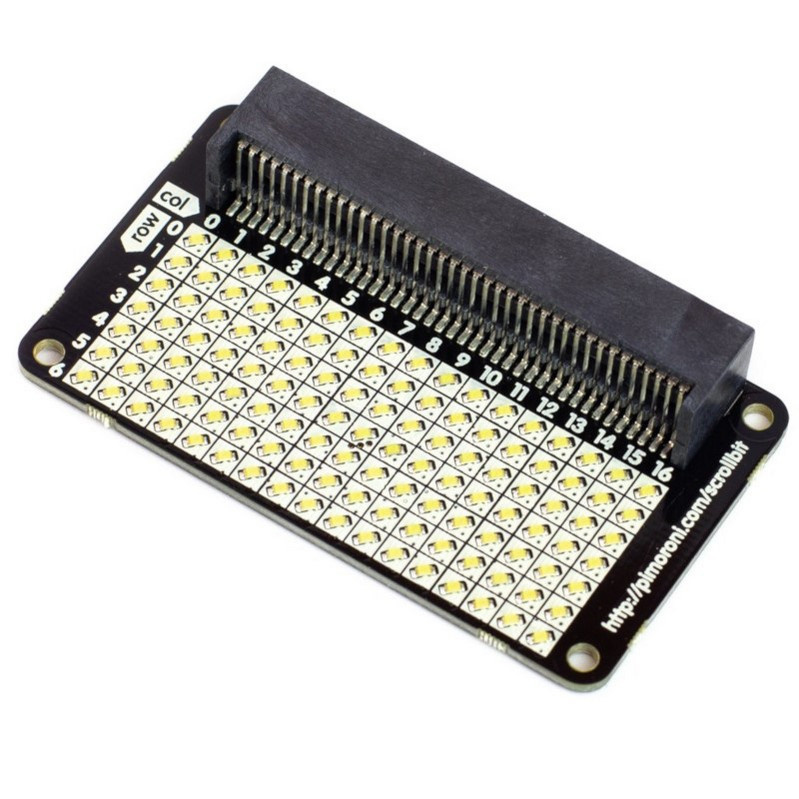 Its 119 bright white LEDs are perfect for scrolling messages with your micro:bit, or for animations, graphs, and more! Just slot in your microbit, then code scroll:bit with the block-based Microsoft MakeCode editor, or with MicroPython in the Mu code editor. 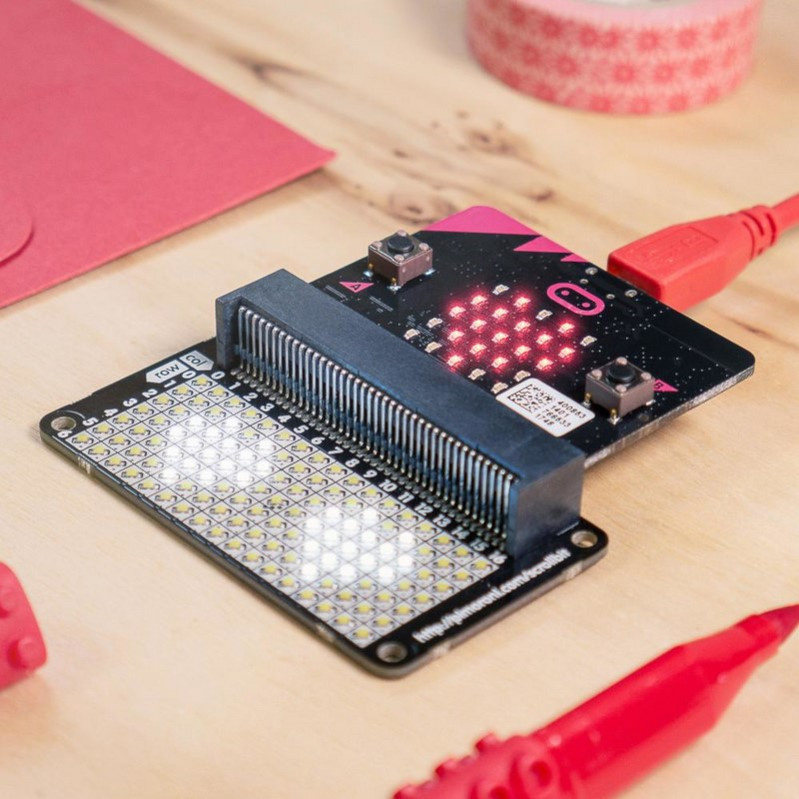 It works in a very similar way to the built-in red LED matrix on your micro:bit, so if you've used that then you'll know exactly what to do. 17x7 matrix of bright white pixels (119 total). Individual PWM brightness control of each pixel. Uses the IS31FL3731 LED matrix driver chip. 1 x scroll:bit for the BBC micro:bit. Code with the Microsoft MakeCode Editor. Code with the Mu Editor. MicroPython scroll:bit library at GitHub.